Brochures, flyers, posters, catalogs, etc. are all effective marketing materials that you can use for your business. 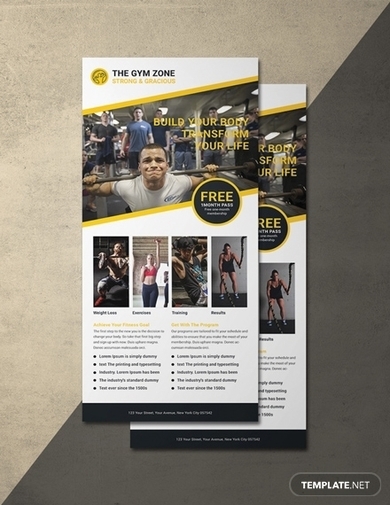 However, if you want to widen your audience reach by only using printed materials, investing in clear and comprehensive rack cards is always a cost-effective option. 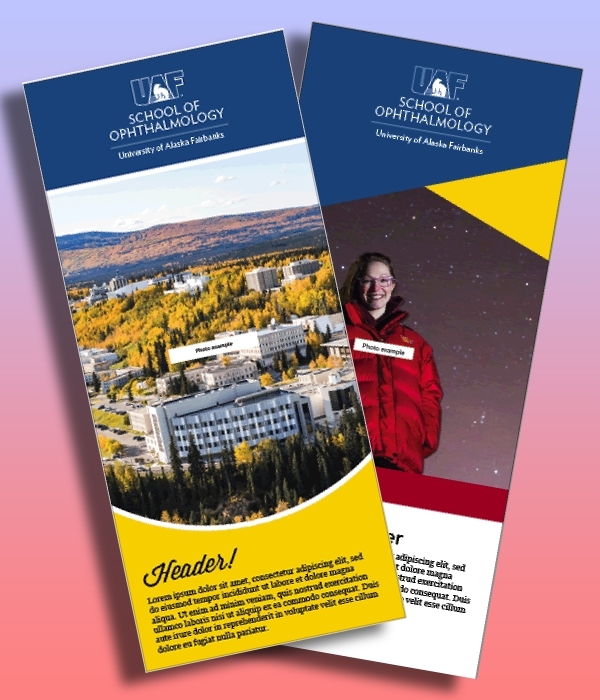 Rack cards are documents containing essential and relevant information about a brand and are mainly used for commercial advertising. These are commonly found in hotel lobbies, stores, landmarks, and places where a number of people can stay in one place at the same time. As an up and coming coffee shop aiming to actively compete with well-established ones, you need to double your efforts with your marketing strategies. There should be materials that can spark the public’s curiosity and provide enough information about what you offer. 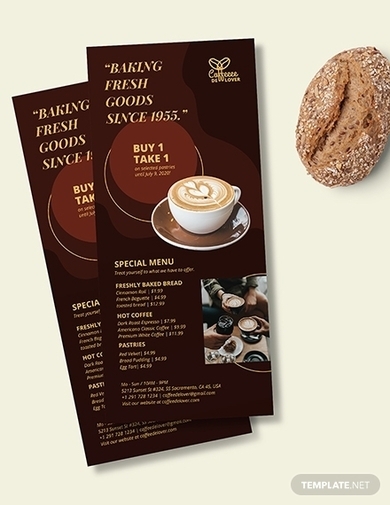 To help you out, this coffee shop rack card template is available for download. You can easily edit and customize this to incorporate elements of your brand. 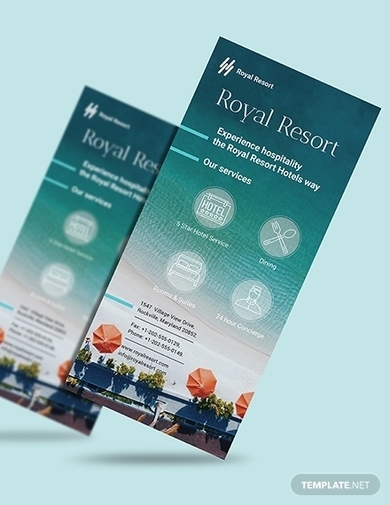 Go for unique geometric shapes with this hostel rack card template. 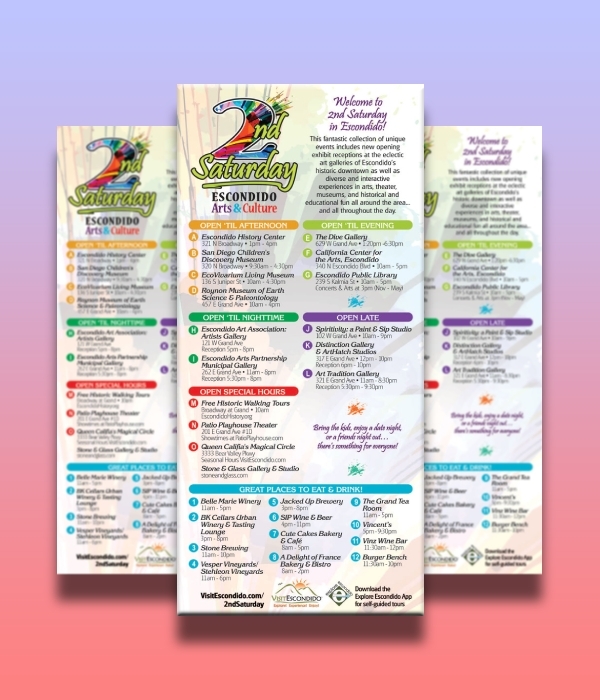 Not only will you be able to inform the public about the high-quality facilities and services that you provide, but you will also wow readers with this aesthetically pleasing and unique rack card. The template is flexible enough to let you provide all the information and elements to entice people while remaining on-brand. As a resort, it is a priority to effectively market the facilities, top services, diverse cuisines, etc. that you offer. Although you can always use a rack card in other establishments, making sure that you have copies available in your own lobby can help you encourage casual guests to be loyal patrons. You can make use of the high-quality design, original artworks, clear layout, etc. if you download this template. The profitability of your business can be affected by the information you provide, or lack thereof. As an SEO specialist or company, providing enough information about what it is that you do and what makes you worth the investment is essential. 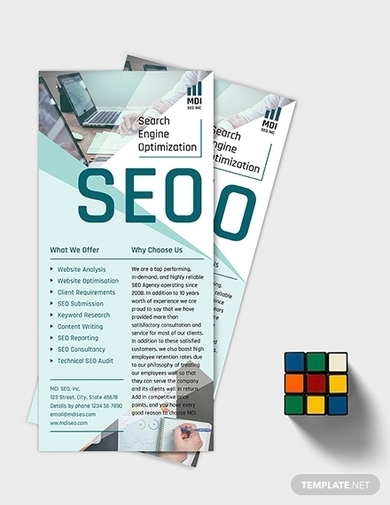 Using this SEO rack card template will allow you to do just that and more. Download and use this template in Adobe Illustrator, InDesign, and Photoshop, MS Word and Publisher, and Apple Pages format. There are a handful of competitors in the event planning industry. 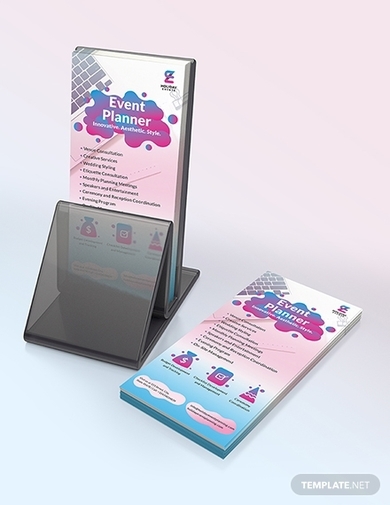 It is necessary that you make yourself stand out from the crowd and using a well-crafted rack card will do the trick. This rack card template will allow you to provide important information about you with a beautiful background. Downloading and using this template will give you the advantage of high-quality designs, well-structured layout, original artworks, and unique fonts. With any business or position, you need to provide details that will separate you from others that do the same things that you do. In this case, having a handy rack card as an advertising consultant will always be advantageous. You can easily present and market your qualifications, skills, expertise, etc. This will surely help potential clients understand what you do and encourage them to invest in you. In any type of industry, marketing will always be the backbone of a business. That’s why regardless of the number of years your salon has been in business, investing in marketing will always yield good results. With this, you can use this salon rack card template to provide important information that will entice your clients. Information about the services as well as promos you offer can be easily incorporated in this template. 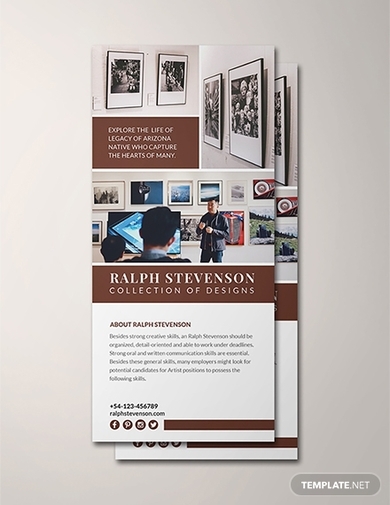 Are you looking for a rack card that will serve as a representation of your creative agency? Then, this rack card template is perfect for you. This template features original designs, stylish artworks, and a flexible layout that will surely help you present your business in a good light. Using this template will give you a good head start in producing high-quality and effective marketing tool for your business. Your catering business can only thrive when you produce scrumptious food that your clients can vouch for. But if you have that department covered, then, investing in effective marketing tools is the next thing to focus on. 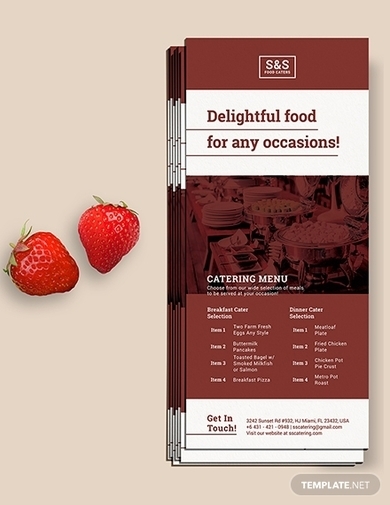 Encourage potential clients to get a taste of your dishes and try your impeccable service with the use of this food catering rack card template. Your aesthetics along with important information will surely be emphasized in this template. 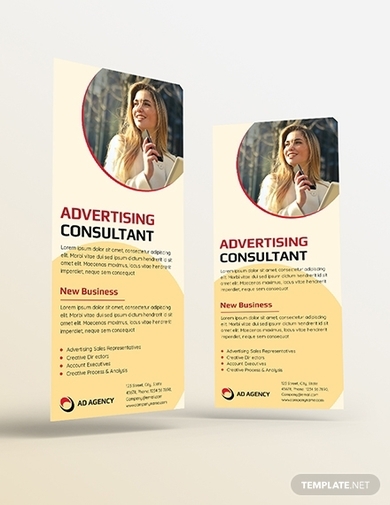 Since your specialty is knowing which marketing tool is effective for a certain group of consumers, then, you know that a rack card has its advantages. Using a rack card to promote your marketing agency can help you present information about what makes you the best team to team up with. Use this template to promote your business in a clear and captivating manner. This template is easily editable so that you maintain your brand identity all throughout. 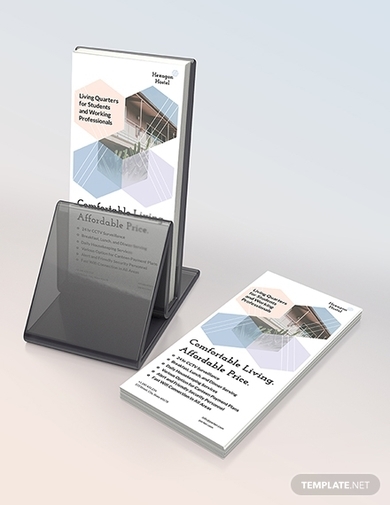 Looking for a free template to promote your upcoming exhibition? We have the perfect template for you! This template will allow you to provide a glimpse of what you have on your exhibit and bit of background to that will surely spark the people’s interest. This template is editable in Adobe Illustrator and Photoshop, MS Word and Publisher, and Apple Pages. People will search for the best medical providers that fit their budget. 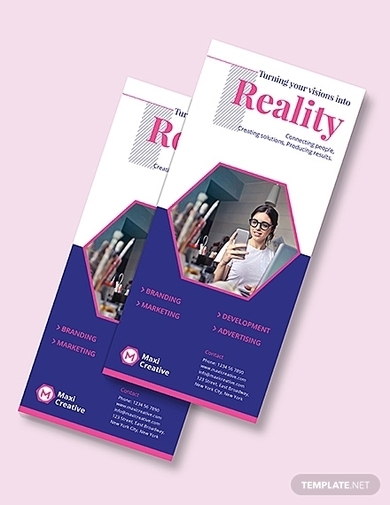 One way of ensuring people has enough knowledge to choose you is by providing a comprehensive marketing material that they can easily get a copy of. In this case, a rack card is the best option. 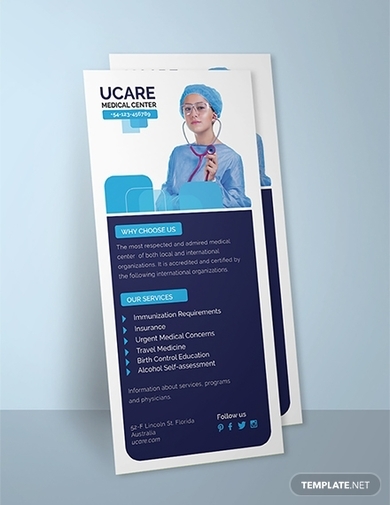 This free medical rack card template is easy to use; you can easily customize this to include details about your business as well as elements that best represent you. People who aspire to be fit will choose a gym that offers the activities or equipment that they want to focus on. And they can only know that you have those by producing a document that clearly lists what you offer. 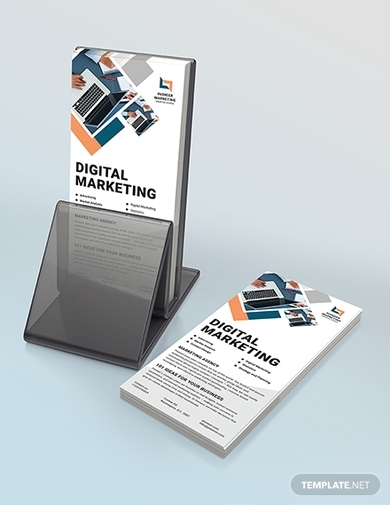 A rack card is not only a cost-effective option for this but also an aesthetically pleasing material that can make your brand identity consistent all throughout. 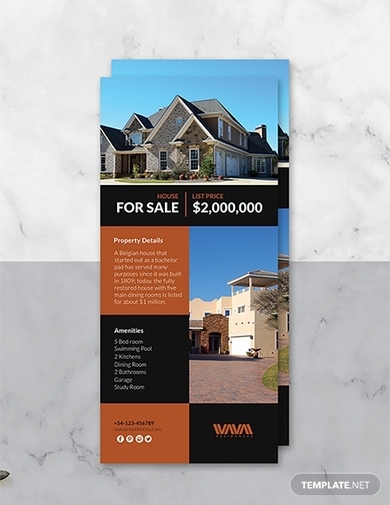 Aside from a real estate flyer, using a rack card to promote the real estate property you’re selling is a good option. This template offers a clear layout, high-quality illustrations and images, unique font, and so much more. You can download this template for free and edit it to fit your own preferences and style. In this example, you can see how the layout is structured with the use of lines that break design elements from the texts. 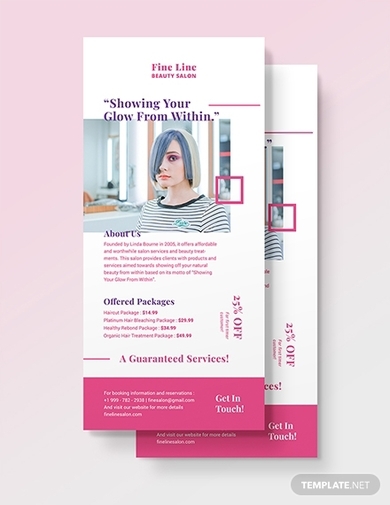 This is a good example to take inspiration on how to effectively ensure your rack card layout is structured to ensure clarity and overall pleasing appearance. Given the number of activities that need to be included, this rack card example is somewhat overcrowded. Each time of the day is separated with the use of headings so that it can clearly present the activities during that time. Although it is overcrowded with text elements, it has still successfully presented all essential information clearly and comprehensively.